Daniel Durning hosts a discussion with renowned New York-based artist Mierle Laderman Ukeles at the Armory Show in 2007. Ukeles has been the official artist in residence of the NYC Dept. of Sanitation for decades and is a dedicated advocate, observer, and creative interpreter of urban ecology. The Armory Show is a selection of ARTonAIR, WPS1 and Clocktower coverage of the art fair since 2005, where we frequently operated from a cozy corner module in Manhattan's West Side piers. The show occupied a half-dozen-football-fields' worth of this riverside real estate carpeted in art, and open to the public for five frequently snowy, icy days in March. 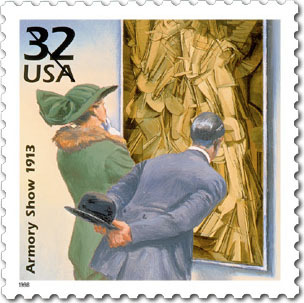 WPS1 was the official Internet radio station for The Armory Show from 2005 to 2008. AIR now covers the show and the surrounding satellite fairs using roving correspondents and remote recording devices in addition to our own Clocktower Productions and familiar menagerie of producers and experts.